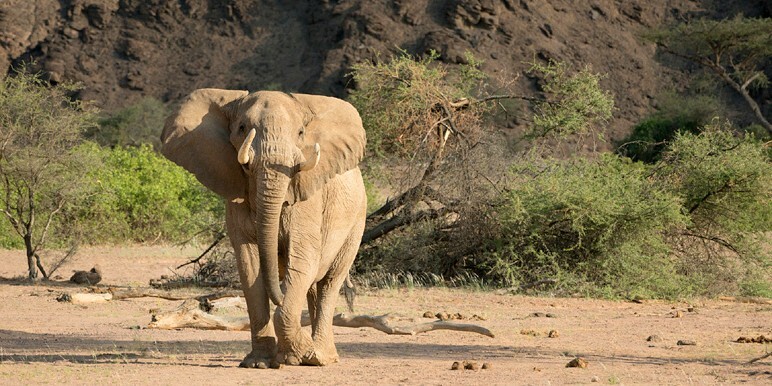 Roam Kenya’s Northern Frontier District like a nomad from Ol Malo, a family ranch and game sanctuary in Laikipia Province, the heartland of the Samburu tribe. 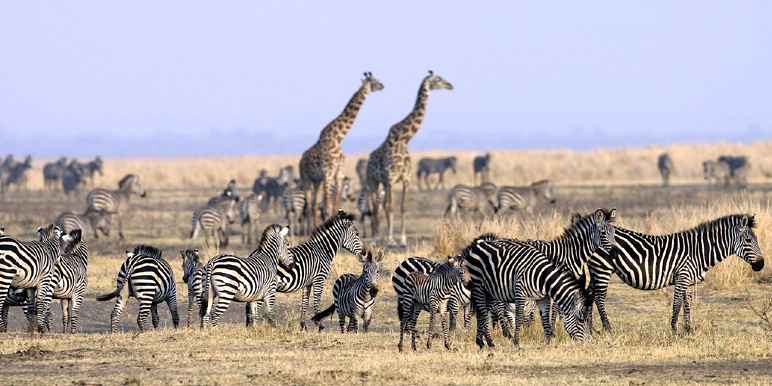 Laikipia is an ancient land inhabited by wildlife and its people. It’s undisturbed and lives by the rhythm of nature. Ol Malo sits within this untamed and landscape – the place of the Greater Kudu. This is a family ranch and game sanctuary in Kenya’s wild Northern Laikipia Province, the heartland of the Samburu tribe. 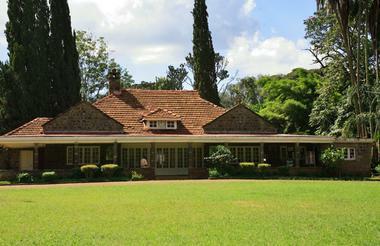 Privately-owned by the Francombe family, it sits on the northern edge of the Laikipia plateau. Ol Malo offers the perfect mix of home comfort and luxury with a gentle balance of feeling at one with nature. 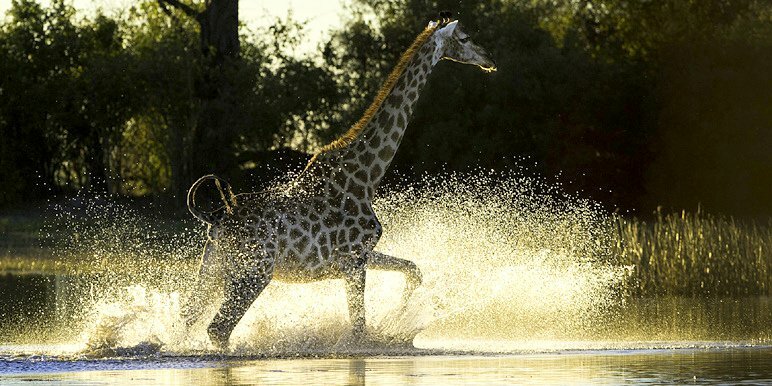 Experience Africa by foot or on horse or camelback. Situated in the deserts of Samburuland, a former overgrazed cattle ranch, this 5,000-acre ranch undergone a transformation. Consequently it’s a successful conservation site today. 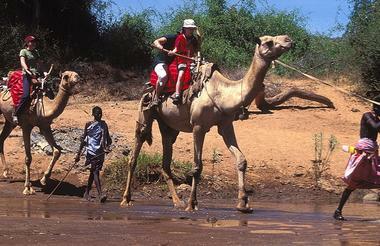 Camel walks – camels are the local workhorses, characterful and tough. Ranch life – Ol Malo is a working family ranch and aims to be as self sufficient as possible. Mountain biking – walking – running – get out and enjoy the bush. Children can walk on the plains and discover the minibeasts. 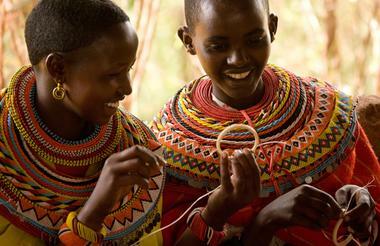 This is home to the Samburu Trusts’ first Nomad school. Look at the Waldorf education system and join the kids on their walk to school. Four rock and olive wood cottages nestle in the cliffs. Each room is private with its own veranda, ensuite bathrooms with the famous Francombe baths. Because of the great vantage point rooms have far reaching views towards Mount Kenya. To cap it all there’s an infinity pool for cooling off or simply lounging alongside. Join the Francombes at their beautiful home in the heart of the African bush. Experience true luxury in Laikipia - an intimate and highly personal experience of ranch living nestled into a rugged escarpment looking out across the time-honoured lands of Kenya’s Northern Frontier District. Imagine rock and olive wood cottages nestled in the cliffs with private veranda, far reaching views towards Mount Kenya and an infinity pool for cooling off in. An amazing and intimate experience of ranch life! You're met on arrival at Jomo Kenyatta International Airport, Nairobi and transferred to the Faiview Hotel for one night on B&B basis. Arrive Loisaba, transfer by car to Ol Malo (45min) in time for lunch. Relax by the pool or in rooms after lunch. Afternoon options: Game drive. Walk / horse ride and sundowners on the plains. Early morning walk down below the lodge, meet some camels for a walk & ride and have a surprise bush breakfast. Late Lunch. Visit a Samburu manyatta in the evening. Optional 5.30am wake up for farm visit. Early Walk / horse ride / camel ride to the nomad school before breakfast. Breakfast. Market visit. Lunch by pool. walk/game drive/horse. Breakfast on verandah. Visit the beading workshop poolside lunch. Afternoon drive, river walk. Sundowners. Optional sleep out – camping, tree house or leopard hide. 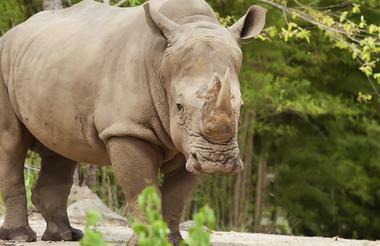 Day trip options: by vehicle to game sanctuary to see game and lion. OR (Extra cost) helicoptor trip down the Suguta rift valley, Lake Jipi. picnic breakfast, lunch at Ol Malo-can be done any day. Relaxed morning, late breakfast on verandah. 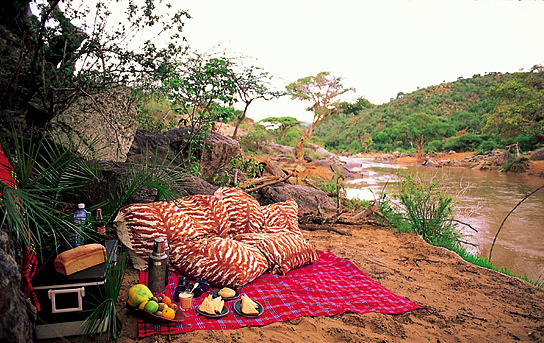 Walk/game drive/horse/camel to the river for picnic lunch-afternoon of swimming, fishing, relaxing. Back late for a BBQ. International flight to Jomo Kenyatta International Airport in Nairobi. 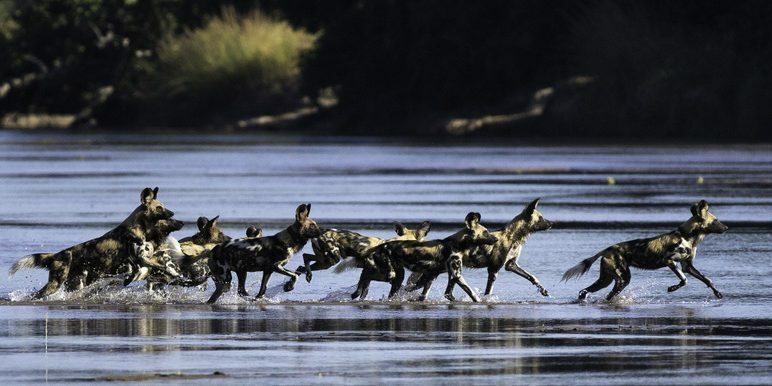 Please ask you Zambezi consultant if you would like us to book your flights for you. 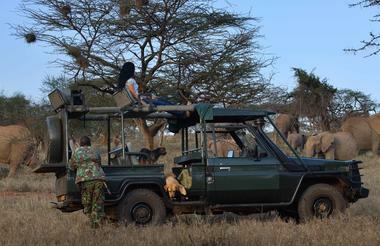 Ol Malo offers a different type of game viewing far from the teaming plains of the Maasai Mara and its minibuses. Here we teach you the importance of everything in nature, from the whistling thorn ant to the elephant.